Like them or loathe them, loot boxes will be appearing in your games, and probably on your bank statements, for the foreseeable future. As we get ready for the massive PC Gamer Weekender latest this month we pinned down some of the developers that will be appearing at the show for their verdict on the treacherous treasure chests. 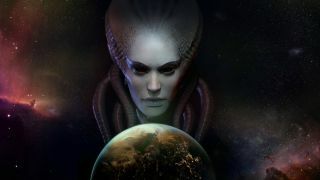 Julian Gollop, the co-creator of X-Com and the man behind its spiritual successor, Phoenix Point (playable at the PC Gamer Weekender) thinks the real issue is the intent behind them. "I think loot boxes are problematic when included in premium priced games, but the main problem is publishers being too greedy," he says. "Players will vote with their wallets, ultimately. I am not sure you can say loot boxes are a necessary game element from the player's point of view." You can also see new giant-slaying action game Extinction at the PC Gamer Weekender. Executive producer on the title, Derek Neal, feels that loot boxes are still going through a tricky learning process. "I think people in the industry are still trying to figure out what the best ways are to monetize their games, and while they're exploring what's possible they sometimes push it too far," he says. Loot Boxes: A modern necessity or pure greed? "As games become bigger and more expensive over time, staying in business often means finding better ways to monetize them. I think what we've seen over the past couple of years is that there are implementations consumers will accept, and ones they will not. As consumers continue making their voices heard, I expect the industry will more or less standardize around the implementations consumers like the best." THQ's Nordic Florian Emmerich, meanwhile, answered in the most loot box way possible. "I would answer that question, but see, you did not buy the legendary edition for this interview, so that one is off-limits. Unless you upgrade…"
Giant-slaying action game Extinction will be playable at the PC Gaming Weekender event in London, Feb 15-17. "In all seriousness, in some cases it has been implemented well and in others it is just disgusting and greedy. Looting is part of the fun and should satisfy someone´s urge to improve their character, etc. Are they necessary? No, but they can be part of the fun. The better question to ask is: should people pay for it? No, they should not." THQ Nordic will be showing off open-world RPG Biomutant and survival game Fade to Silence at the PC Gamer Weekender; plus running a Spellforce 3 tournament. The PC Gamer Weekender takes place in London on Feb 15-17. Use the discount code GR20 to snip 20% off tickets and play all the latest PC games in one place.